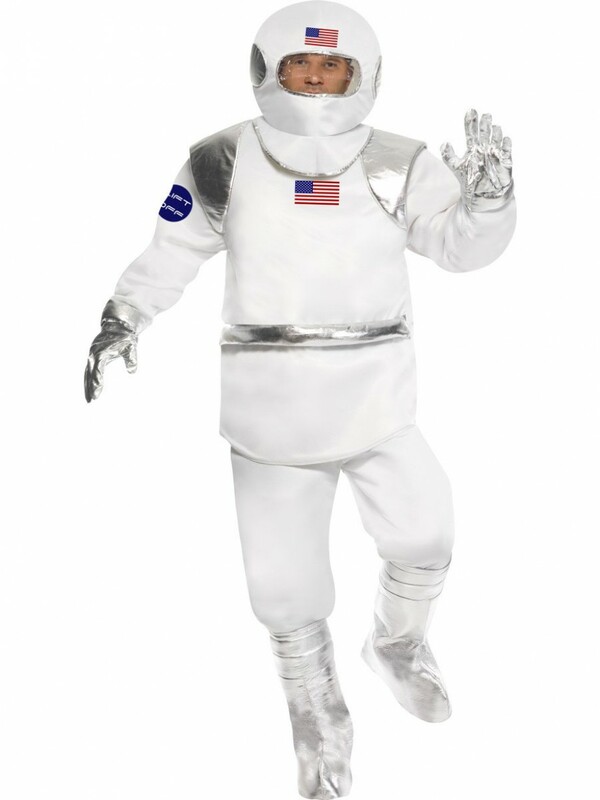 This brilliant Spaceman Costume is perfect for TV/Film/Decade themed fancy dress occasions! Included in this outfit are Top, Trousers, Helmet, Gloves and Shoe Covers. 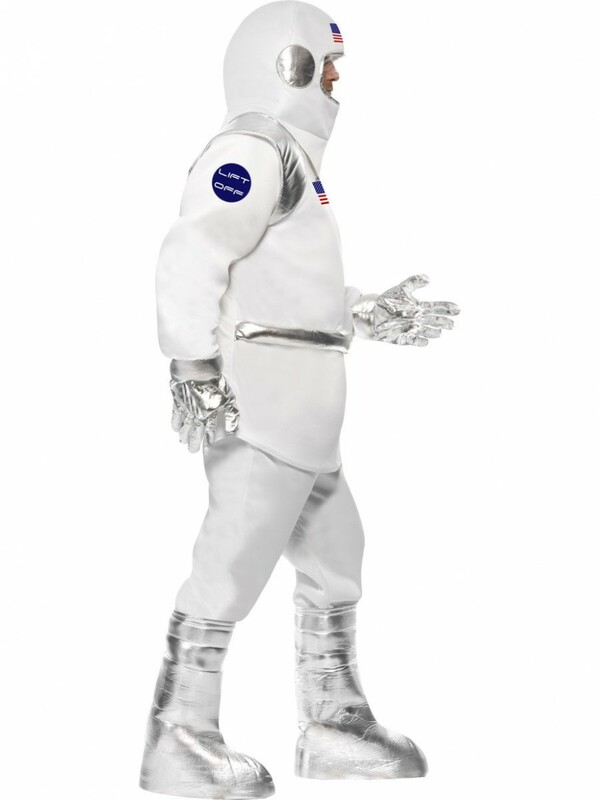 Go on a lone mission with this fantastic Spaceman Costume, perfect for TV/Film themed fancy dress occasions. This costume includes Top, Trousers, Helmet, Gloves and Shoe Covers. The white top is in a long oversized style with shiny silver shoulder pads and ‘LIFT OFF’ printed on one of the arms. The costume also has the American flag on the front of the costume. Also included in this costume is a pair of white trousers, a soft helmet with the American flag on the front, with a clear patch in front of the eyes allowing the wearer to see out and silver padded either side. This great Spaceman Costume also includes a pair of silver gloves and matching silver boot covers to complete the look! 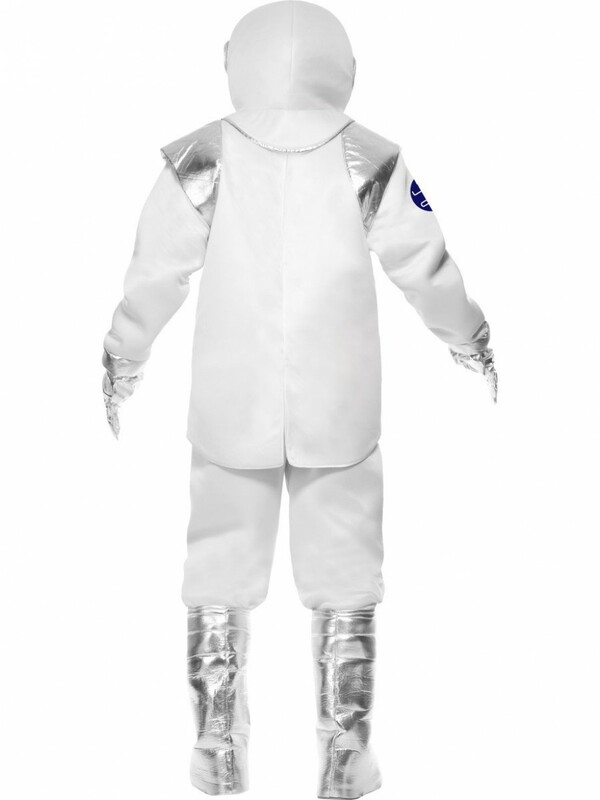 This Spaceman Costume is perfect for Film/TV fancy dress occasions! Spaceman Costume including Top, Trousers, Helmet, Gloves and Shoe Covers.